Organized by: Global Visual Cultures | Department of Art History, University of Barcelona and Institut National d’Histoire de l’Art, Paris (INHA). This project has the support of the program Art et mondialisation (Institut National d’Histoire de l’Art-Paris), the Plan Nacional de Investigación Científica, Scientific Research, Development and Technological Innovation National Plan (Ministry of Education of Spain) and the Department of Art History (University of Barcelona). Modernity, as an epistemic project, consisted in universalizing knowledge by means of a systematic accumulation of data. Universities and Museums played –and still play today an important role in this sort of worldwide documentary utopia. However, in the last decades we have seen a multi-directional critique of these two institutions, mainly focused on the reexamination of their legitimate authority to preserve and give sense of collective social memories. Based on the accession/deaccession of records, the configuration of new databases, and the democratization of knowledge production technologies, this shift has resulted in the creation of new documentary centers linked to academic departments, research institutes, libraries, and museums. The vast majority of these documentary centers are devoted to expand public access to records and to consolidate a more democratic net of institutions. In doing so, documentary centers operate as bridges across museums, libraries, and universities. At the same time, this new interplay opens up a new deal between different researching communities, museum imaginaries, and archival expertise. Under the umbrella of a three-year collaborative project between the University of Barcelona and the program Art et mondialisation (Institut National d’Histoire de l’Art-Paris), Global Visual Cultures have organized a series of talks entitled Documenting Global Art. Theories, Databases, and Experimental Researching Tools. The first of these talks will be held at the University of Barcelona, on December 14, 2011. During this talk, diverse researchers and contemporary art museum archivist will examine the challenges this new documentary centers are facing today. As a part of this seminar we will discuss projects launched by museums such as MACBA (Museum of Contemporary Art in Barcelona), Fundació Antoni Tàpies and the Museum of Fine Arts-Houston, as well as research institutes such as the Institut National d’Histoire de l’Art-París. Zahia Rahmani, INHA-Contemporary Art in Globalization. 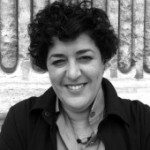 Writer and art historian Zahia Rahmani joined INHA in January 2004. She conducts a forward-looking and cross-cutting research program on contemporary artistic practices in globalization. She is currently working on the creation of a bibliographic database aimed at reporting on the theoretical corpus – from her genealogy to the borrowing of comparative literature – used by critical and professional actors in the globalized contemporary art scene. 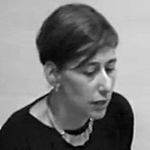 Mela Dávila, Head of MACBA Study Center. She holds a B.A. in English and German Philology from the Universidad Autónoma de Barcelona and completed postgraduate studies in Publishing at the Universitat Pompeu Fabra (Barcelona). She has worked as a translator, editor and freelance editor. Since 1996 she has held various positions at contemporary art institutions. 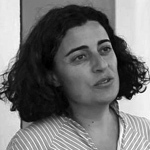 She was head of publications at el Centro Galego de Arte Contemporánea (Santiago de Compostela), assistant to the director of MECAD/Media Centre d’Art i Disseny (Sabadell, Barcelona), and head of publications at Museu d’Art Contemporani de Barcelona – MACBA. In December 2007, she was appointed the first director of MACBA’s new Study Center. Luz Muñoz, MFAH-Documents of 20th-Century Latin American and Latino Art. She has worked in research, management, and curating exhibitions in the field of visual arts. Master of Arts Postgraduate in CCC-Etudes Critiques Curatorial Cybermédias de Geneve University of Art and Design, Geneva Switzerland. In the professional field, participated in the creation of the first Documentation Centre of the Arts in Chile, located in the Centro Cultural Palacio de la Moneda, and later served as research coordinator of the center, www.ccplm.cl. Along with Paula Honorato created the website www.textosdearte.cl. 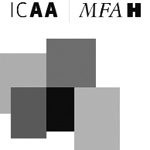 Since 2004 is part of the project team Documents of 20th Century Latin American and Latino Art Digital Archive and Publications at The Museum of Fine Arts, Houston, USA. Among its themes are working file, memory and forms of social resistance. She studied and worked in Chile until 2006, currently lives in Barcelona, Spain. Núria Solé, Fundació Antoni Tàpies. 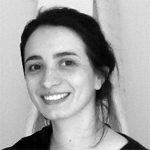 Núria is a graduate in Art History and Italian Philology Graduate by the Universitat de Barcelona and accumulates five years of experience as manager in several bookstores specialized in contemporary art (e.g. the one at Arts Santa Mònica and the one at Fundació Antoni Tàpies). In 2008 Núria joined the Archives and Documentation department of the Fundació Antoni Tàpies, where she has since participated in the development of the project Archive-Thesaurus under the supervision of Laurence Rassel and Jorge Blasco Gallardo. Núria is currently a member of the team in charge of developing the Combinatory Arts (A Place for Education, Exhibition and Research) at the Fundació. Linda Valdés, Fundació Antoni Tàpies. Since 2008, Linda has been in charge of the website and audio-visual materials of the Fundació Antoni Tàpies. Linda studied Graphic Design at the PUCV in Chile and graduated with a thesis on semiotics and geometry on the Internet. Between 2003 and 2006 she taught at the Faculty of Architecture Art and Design of the PUCE in Ecuador. Linda obtained her Master’s degree in Culture Management at the Universitat de Barcelona and completed the MACBA’s Independent Studies Program. At the Fundació Antoni Tàpies, she has been involved in the development of the project Archive-Thesaurus and is currently contributing to the creation of the Combinatory Arts (A Place for Education, Ex Universidad de Research) at the Fundació.